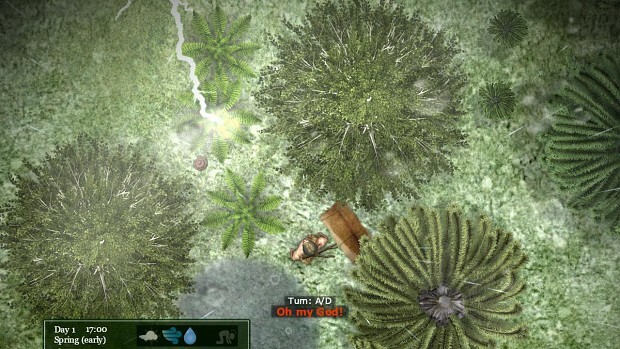 The game simulates everything from plants, animals and weather, to seasons and day/night cycle. All living things, and even the soil, evolve over time according to simulated parameters. Nothing "spawns" from nothing: kill all animals or plants of a given species, and it will become extinct. Introduce new animals, alter the weather, create barriers to isolate a species or lay destruction with asteroids and other calamities. See how the world adapts to your godly whishes, or set the starting rules and just watch how things evolve. Join the ecosystem as a survivor; you require to eat, drink, sleep, watch the temperature and protect from predators. The survival mechanics even allow your body metabolism to change according to the way you survive, along with body muscles and fat! Build a shelter, gather fruits, farm or hunt: how you survive is up to you, and you'll see long-term changes to your body and skills according to your virtual life-style. The character temperature model is very realistic as everything is taken into account; from proximity to fire, being soaked, wind chill, sun exposure, and even physical activity and being idle/sleeping. Ambient temperature is influenced by season, time of day, weather and humidity. A dynamic, rewarding and unique skill system that allows to adapt to the things you need to do on a daily basis. Stats like strength and athletics depending on character muscle mass, metabolism, weight and general condition. 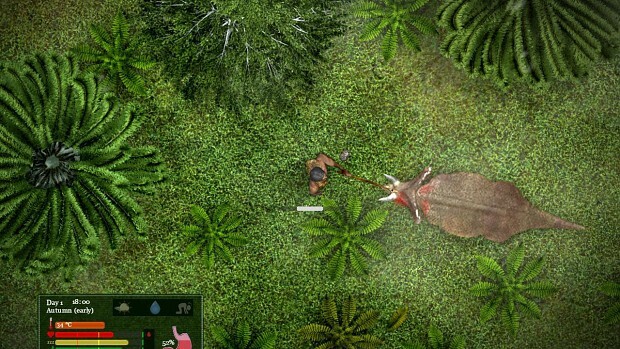 Get familiarity with the ancient beasts, learn how to handle them, steal an egg and raise your own triceratops! One planned feature is to have a genetic pool that each animal inherits from its parents: this will generate a principle of natural selection (and thus small-scale evolution), and will give you a reason to breed a particular animal. The game has no fixed purpose to fulfill. Play as long as you like, experiment, see how far you can go and how fat you can get, survive the apocalypse, or die of dysentery and starvation! The world keeps changing and you with it. 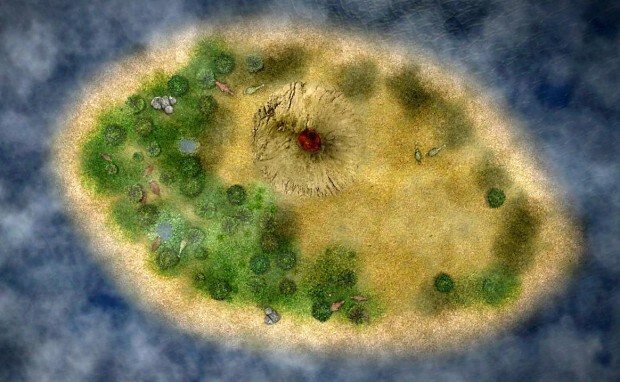 Non-linear, open-ended gameplay doesn't mean you won't get rewarded: the game tracks your archivements as you bring your ecosystem to glory or successfully survive as part of it. DinoSystem is going Early Access on 25th June! DinoSystem Early Access release date is set to 25th June! Check theDinoSystem Steam store with the new trailer, screenshots and description. Yeah folks, that's right, the wait (for the ones bold enough to play it in Early Access) is almost over! 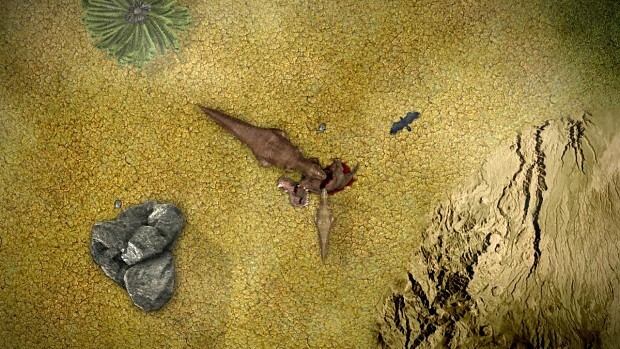 DinoSystem Kickstarter campaign is finally live ! 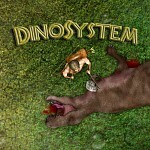 DinoSystem Kickstarter campaign will launch 9th March (Monday), 2 PM central time (evening in Europe). We're very close to launch a Kickstarter campaign for DinoSystem, it will probably start in early-mid February! Here's the first video of a series about DinoSystem where i'll explain how mechanics work regarding a specific area of the game. Guau! I want to play this game now! How do they do it? Now that the kickstarter campaign failed, I hope you don't give up pls. I like the look of this game too much. As the above user pointed out, we're working hard on the game and progress is going fine (much more than I would've expected, seriously) and early access is coming probably sooner than expected (maybe even next month!). Pls do so i can download the game pls do it! Simply fantastic!!! Can't wait for more updates!! Would like to see aquatic semi-aquatic life too, eg fish, plesiosaur and the like. Wow brilliant, i love your game-idea :D! Will this be on windows phones? After the PC release, i'll port the game on smartphone. So yes. Hard to tell, maybe yes, maybe no, will see after the pc release.